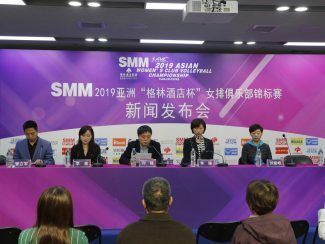 Tianjin, China, April 12, 2019 – The press conference on the event preparation of SMM 2019 Asian “Green Hotel Cup” Women’s Club Volleyball Championship took place in Wuqing Sports Centre on Friday. Eleven teams in total are pumping up for the coming event which is due to kick off on April 27. China, the hosts and bronze medalists at the previous edition in Kazakhstan last year, are in Pool A with Kazakhstan, Iran, Hong Kong China and Chinese Taipei, while reigning consecutive two-time champions Supreme of Thailand, Japan, Vietnam, DPR Korea, Sri Lanka and Turkmenistan are in Pool B.
Liu Feng, deputy general manager of China Sports Stadium Operation Management, kept the meeting attendants of preparation updates on including competition venues, ticketing and business cooperation. 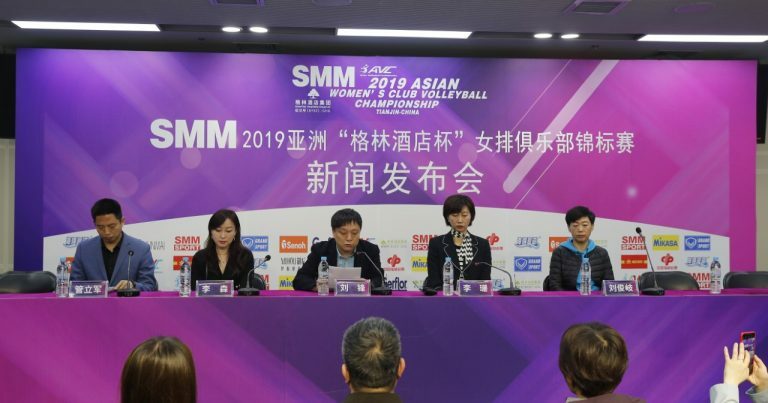 “On April 20, a joint venue commissioning test is set to be conducted, aiming to guarantee the normal operation of the venue. 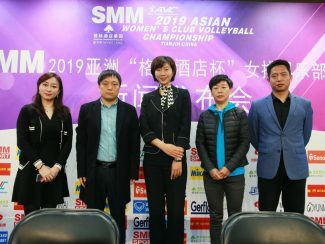 It’s worth mentioning that the top-level rosters of all clubs have entered the competition, which will definitely entertain the local fans since it’s the first international volleyball club event which has ever been held in Tianjin.” Liu said. 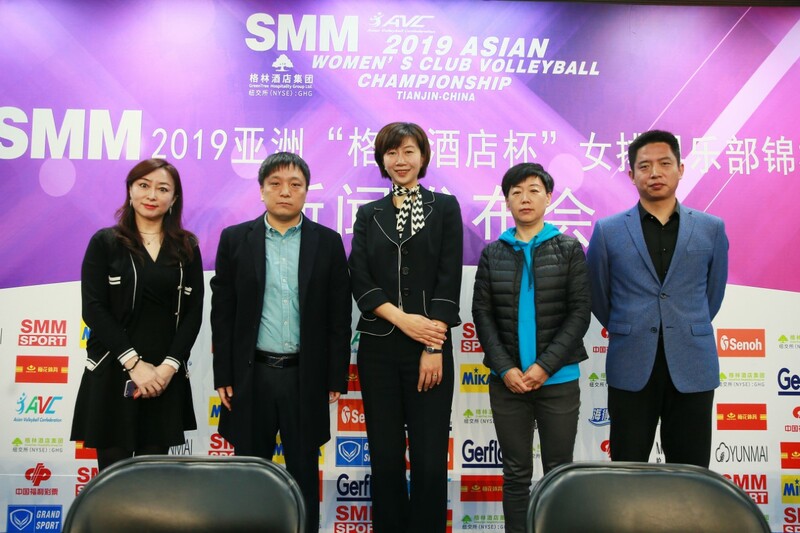 Some of the live broadcasts will be available on CCTV Sports Channel and Tianjin Sports Channel, while more matches will be shown on Internet platforms Penguin Live, Tencent Live and Today’s Headlines. 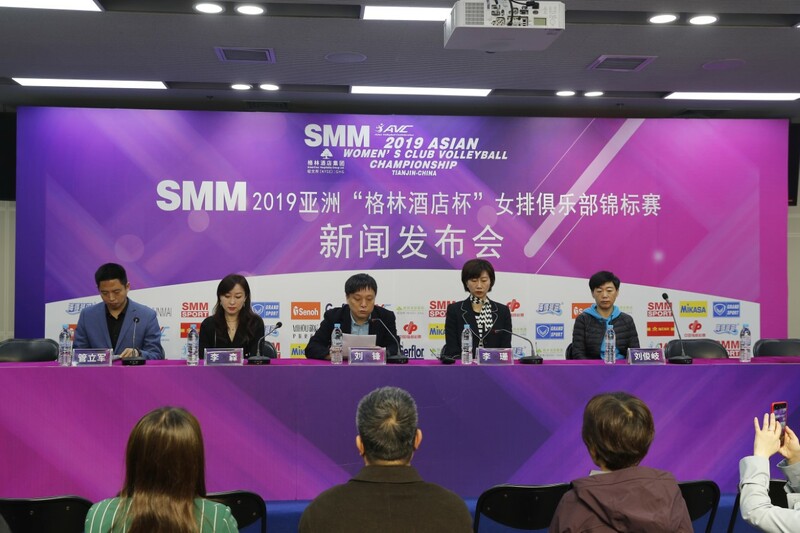 In addition to shuttle buses for audiences at Wuqing Railway Station and Wuqing Sports Center, the local organizing committee also significantly promoted the event by collecting “outstanding photographs” by professional photographers and amateurs groups. Multiple awards and bonuses are on offer for the competition winners. Located in Tianjin Wuqing New Town, Wuqing Sports Center is about 90 kilometers away from Beijing. It once served as the table tennis venue during the 13th China National Games in 2017. The ticketing system will soon be launched in Yongle Ticketing with the ticket price ranging from 30RMB to 200RMB.